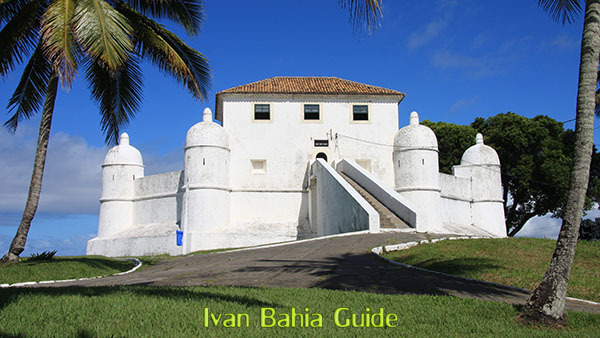 Professionally licenced, private tour-guide service for every traveler in Salvador da Bahia, North East Brazil. The lowest price available for walking-tours by locals. 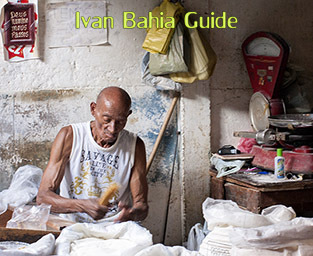 Book directly with Ivan Bahia Guide for the cheapest price. We work along with Tours with Locals collegue Guides from Le Guide du Routard, Tripadvisor, Free Walking Tours, and Rent a Guide. We thank Fernando Bingre, Marcio, Bahiaflaneur, Bahia Metisse, BahiaMetisse, Dirk Van Kerckhove, André Alves, Frank Faro, Sayuri Cardoso, Clara Manuela Bastos Ramos, Juha Paltila, Jürgen Szillat, Thiago Barra, Laura Medeot dos Santos. 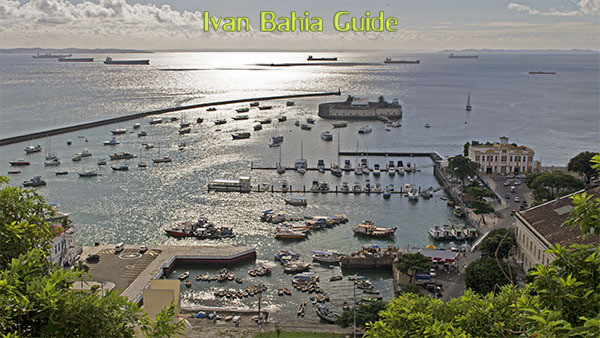 Discover the nicest places of Salvador with our historical daytrip "500 years in 1 day". 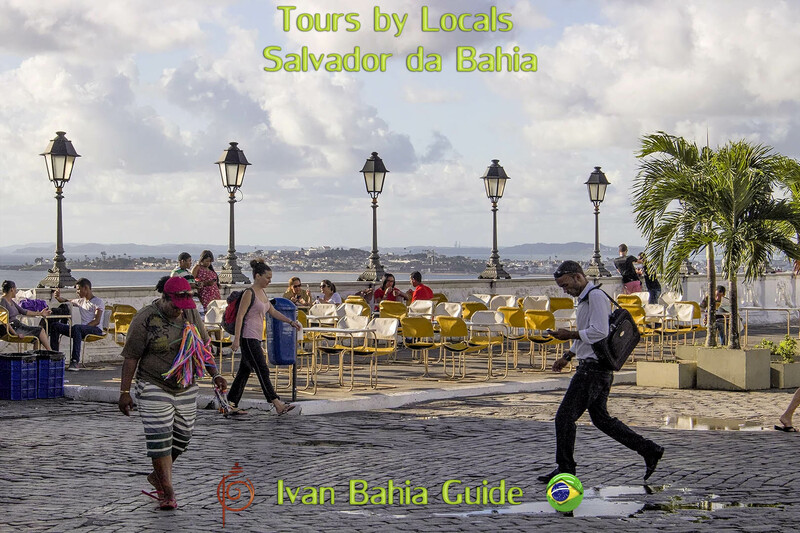 With our (much praised) "Salvador 500 years in 1 day" tour you will enjoy the city in a different dimension. When we collect you (by car) at your pousada/hotel/appartment in the morning we shall have a small briefing to list up your desires and wishes. On base of that briefing we will build an enjoyable day's program. 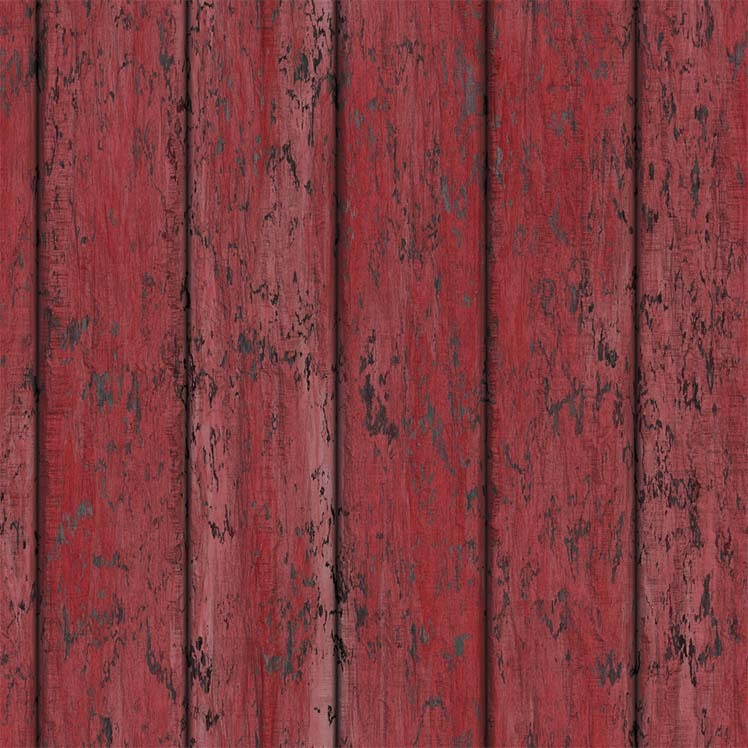 For a start we will take you back in time down to the "Barra" region. About 5 centuries ago the Portuguese conquerors first set foot on the grounds in this area, when Pedro Álvares Cabral discovered the entrance All Saints Bay November 1st 1501 (on behalf of the Portuguese Crown) near the actual lighthouse 'Farol de Barra'. Walking and driving we gradually go back to the future of nowadays through some interesting historical spots (most often overseen by the 'classic tourist industry'). So you will enjoy a guided tour where we will visit a selection of the much coveted fortresses. They have been targeted by so many foreign powers the last 500 years. A fine example is the Forte de Monte Serrat. Bahia's economy essentially evolved around this spot, with it's merchants, the market, and the port clustered practically within arm's reach. 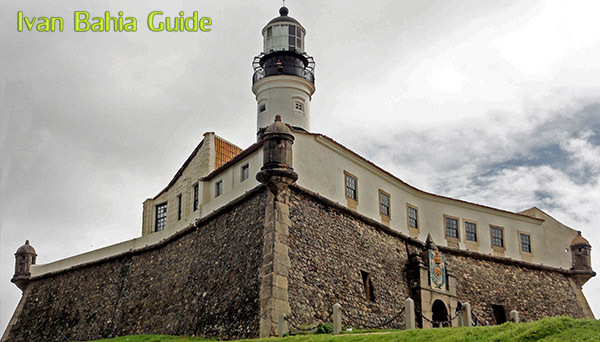 Besides the different fortresses (Salvador has always been a much coveted place in the colonial era) like Diogo and Monte Serrat we can also take a look at the Marine museum in the Barra lighthouse. It shows some typical history artefacts from the naval experiences by the different colonisators that tried to get their piece of Brazil. During this daytrip we will also have a peek in some popular areas like the Rio Vermelho neighborhood where you will perceive the influence of the mysterious Candomblé-religion. We can put you in close contact with the locals so can learn learn about their daily life and habits. Some call it "social tourism", others just "socialising" ... It does not matter. It is nice if you want to learn about local habits. We could do that with you in different ways. Maybe you'd fancy a walk in an easygoing favela ? Or take the favela-train along the Bay of All Saints ? 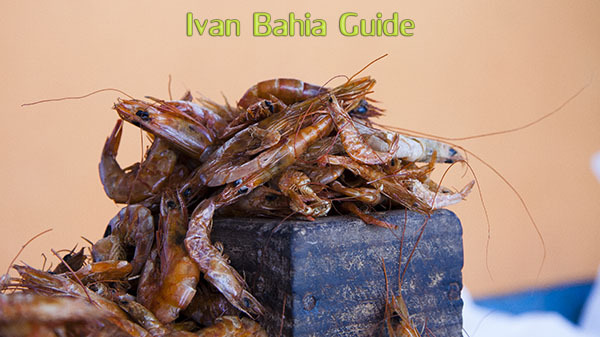 Get a close feel with the fisherman in Rio Vermelho and visit their cosy little temple of Iemanja ? Let's have a walk in the most famous Mercado São Joachim. This market is so large you could wander around for half a day before finding your way back out. 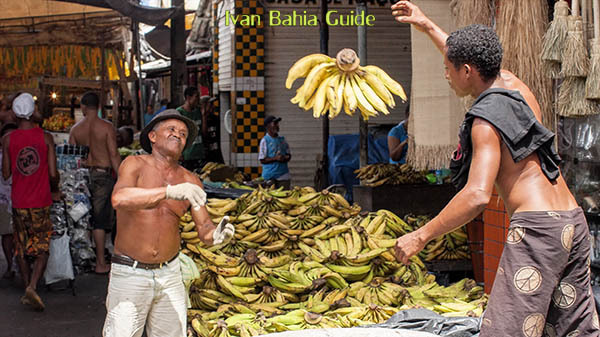 In the end you will have flavoured a lot of tropical fruits and vegetables that are so typical for Bahia. 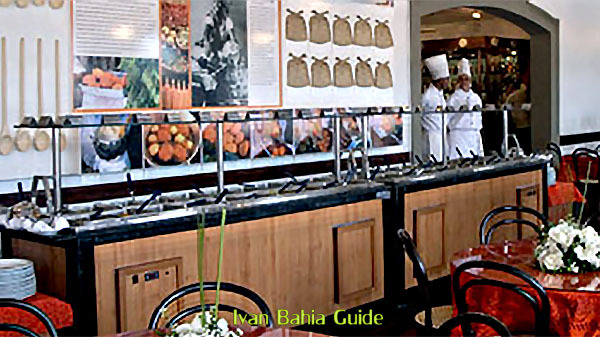 Bahia is known for it's typical etno-gastronomy, like moquecas, where palmoil and coconut are in the spotlight. And remember during our tour you will have access to our free mobile WiFi hotspot, so you can immediatelly post your nice experiences on the social networks.